Your BIOZEN beauty center for men and women advises you this facial treatment to revitalize your skin and restore its glow. Who should use the revitalizing facial treatment PHYT’S vital energy? This revitalizing facial treatment “PHYT’S vital energy” is suitable for all types of skin, especially dull, devitalized skin, lacking radiance, and is intended for people wishing to revitalize their skin and restore luster. 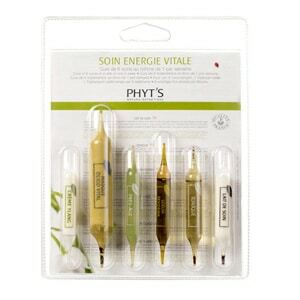 How does a revitalizing facial treatment blow of radiance PHYT’s vital energy work? This revitalizing facial treatment “PHYT’S vital energy” starts with a skin cleansing, then comes the time to make a new skin with gentle scrub, steam and extraction of comedones (blackheads). Then, relaxing massage with Reviderm Serum, a real oxygen bubble for the skin. What are the results of revitalizing facial treatment PHYT’s vital energy? The results of PHYT’S products are tested and proven in the laboratory. This rejuvenating facial revitalizing treatment PHYT’s proposes a revitalizing, regenerate and oxygenate your skin to have a fresh, bright and luminous complexion. How often do you do a revitalizing facial treatment sparkle PHYT’S vital energy? It is advisable to do a revitalizing facial treatment sparkle PHYT’S on average once a month or in a 4 treatment course (1 treatment per week). What is the price of a revitalizing facial treatment PHYT’s vital energy?